Guides Tosh Arwood, Curtis England, Jonny Ortiz and Casey Jones from Nantahala Outdoor Center's renowned Paddling School have arrived in Chile! They have begun training with our adventure travel partner the Pucon Kayak Hostel in preparation for a group of paddling guests to join them later this month. The area is known for its striking natural surroundings which include volcanoes, lakes, waterfalls, nature reserves and hot springs, and it attracts adventure tourists year round. 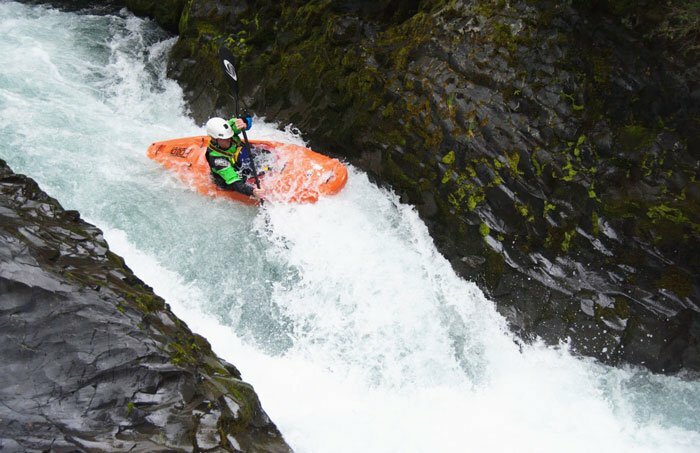 Master Guide Tosh Arwood and his team have identified the best rivers for every skill level of kayaker, and they take great care to taylor trips to each person's comfort zone. They pick guests up from the airport in Temuco, Chile (ZCO) and bring them to the Pucon Kayak Hostel, which is conveniently located on the banks of the Trancura River. The entire team of guides are highly experienced with numerous certifications, and several have spent extended time in the area over the years; they are well aquatinted with the rivers Chile has to offer. Pristine rivers and picturesque backdrops of snow capped volcanoes coupled with expert guides and amazing hospitality make for an unforgettable experience. Find out more about NOC's international adventures here.